BALTIMORE - A 15-year-old murder case that landed a popular teenager from Baltimore County, Md. behind bars for life is being revived in a podcast that offers more questions than answers about the crime and its fallout. Ultimately, a Maryland appeals court will decide the man's fate. 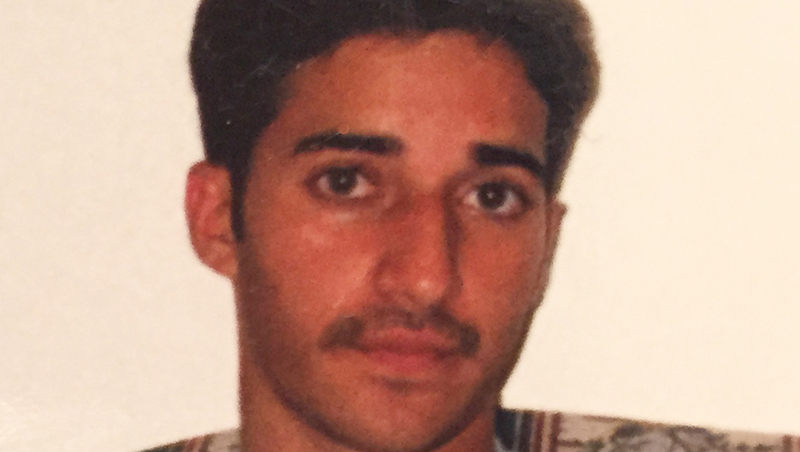 Millions of listeners are anxiously awaiting the next installment of Serial, a podcast from the creators of "This American Life" that tells the story of Adnan Syed, a Woodlawn High School student who was found guilty in 2000 of murdering his ex-girlfriend Hae Min Lee. The podcast is the brainchild of longtime radio producer and former Baltimore Sun reporter Sarah Koenig, who spent more than a year digging into Syed's case and reporting her findings in almost real-time in hour-long segments released online every Thursday (with the exception of Thanksgiving). Nine episodes in, the podcast has attracted more than 1.5 million listeners per episode worldwide and turned Syed into something of a household name, inspiring a dedicated fan base, re-cap blogs and even spin-off podcasts, not to mention heated debates around countless water coolers and dinner tables about Syed's guilt or innocence. But although the buzz surrounding the case is new, Syed has been trying to prove his innocence for years - so long, in fact, that his case is now in its final stages of appeal. A hearing scheduled for January represents what Syed's lawyer, C. Justin Brown, said is the man's "last best chance" at freedom. "I joke that when I was hired to do Adnan's appeal I was a free-wheeling single man and now I'm married with two kids. It's been a lengthy process," said Brown, who has represented Syed for more than five years. "There are three parts to the legal process: a trial, then an appeal, then you have post-conviction relief. This is the last step." The primary points Brown makes in his appeal are some of the same reasons Koenig told listeners in her podcast's first episode that she decided to investigate the case: there were no eye-witnesses tying Syed to the crime, and Syed's attorney, Cristina Gutierrez, failed to interview a witness who said she was with Syed at the time Lee was killed. Gutierrez, a high-profile Baltimore-area criminal defense attorney, was disbarred in 2001 when client funds went missing. She died in 2004 of a heart attack. Brown in his appeal says Gutierrez knew about Asia McClain, a classmate of Syed's who saw him in the library around the time prosecutors say Lee was killed. But Brown says the attorney failed to pursue her alibi during trial. "The entire trial depended on whether Syed could prove where he was at the time of the murder," Brown wrote. "Meanwhile, a credible witness - an honors student who had no obvious bias in favor of Syed - had come forward unsolicited with a recollection that she had been with Syed around the time of the murder ... Yet the lawyer did absolutely nothing." "It's an unusual phenomenon," Brown said. "The Court of Special Appeals has shown some interest in the case and asked the state to respond to our application, which is more than they usually do in this procedural posture. But I truly think the appellate courts make their decisions based on the merits of the case, and not the popularity of a podcast."